The Cloisters is the branch of The Metropolitan Museum of Art devoted to the art and architecture of medieval Europe. This splendid new guide, richly illustrated with more than 175 color pictures, offers a broad introduction to the remarkable history of The Cloisters as well as a lively and informative discussion of the treasures within. Assembled with Romanesque and Gothic architectural elements dating from the twelfth through the fifteenth century, The Cloisters is itself a New York City landmark, overlooking sweeping vistas of the Hudson River in Upper Manhattan. Long cherished as a world-class museum, it also contains beautiful gardens featuring plants, fruit trees, and useful herbs familiar from the collection’s medieval tapestries and other works of art. Among the masterworks of medieval religious and domestic life housed in The Cloisters are exceptional examples of carved ivory, illuminated manuscripts, stained glass, silver- and goldsmiths’ work, and tapestries, including the famous Unicorn in Captivity. Enriched by the latest scholarship from The Cloisters’ expert staff of curators, educators, and horticulturalists, this volume will stand as the definitive source on the collection for years to come. Devoted to the art and architecture of medieval Europe, the Cloisters is a popular branch of The Metropolitan Museum of Art. 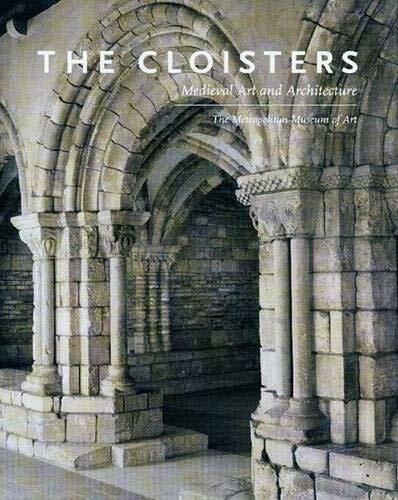 This splendid new guide recounts the Cloister’s history, offers a lively discussion of the treasures within, and is replete with more than 175 color illustrations of its architecture, gardens, and masterworks. PETER BARNET is Michel David-Weill Curator in Charge of the Department of Medieval Art and The Cloisters, and NANCY WU is Associate Museum Educator at The Cloisters, The Metropolitan Museum of Art.